Is this another political promise that cannot be met? The endorsement by Xcel energy would indicate that it is great policy based upon the economics alone. Colorado has an incredible combination of wind and solar resources. Only a handful of other states have similar resources. 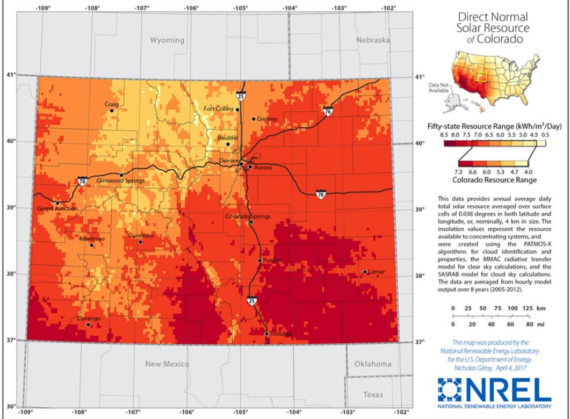 Split, by the continental divide, the eastern part of Colorado is a desert biome and has significant solar resources. In the best regions near Denver, average winds at a height of 100 meters clock in above 10 meters per second. 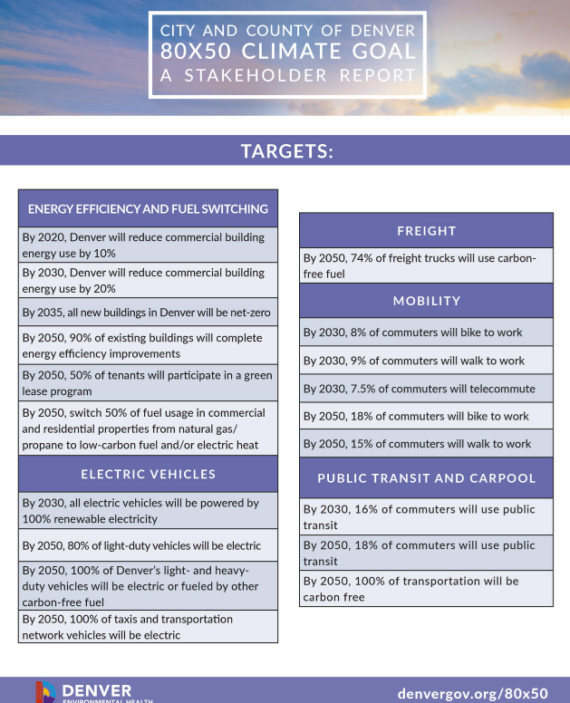 Mayor Michael Hancock stated, ““Climate change threatens our people directly, putting our health, environment, and economy – our very way of life – at risk.” This 2030 target is an update to the 2015 Climate Action Plan referred to as the 80×50 plan, which aims for 80% fewer emissions by 2050 based on 2005 emissions. Undoubtedly, the recent drastic declines in the price of wind power, solar power, battery storage, and energy efficiency have enabled Denver to step up its commitment to a sustainable future. Below are other crucial goals of the City’s Plan. The secret on Denver has been out for a while as people and companies continually move there. It is quickly becoming a city of the future. They even have plans for a Hyperloopwhich CleanTechnica‘s Steven Hanley covered last year. CleanTechnica has also covered the city’s bike friendly efforts and a public/private partnership to create a microgird.